Google "how to build your brand" and you will get 203,000,000 hits. 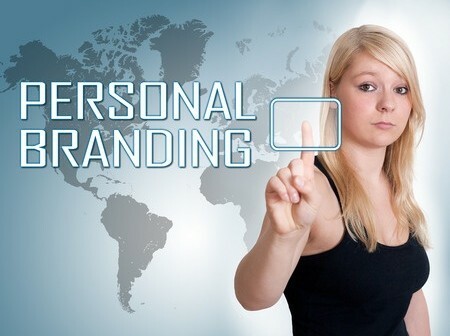 Change your search to "how to build your personal brand" and the number is reduced to 39,200,000. Yet despite the enormous volume of advice on the subject, a cursory review of the literature suggests that it focuses primarily on the mechanics of branding. It is easy to learn how to promote your brand, yet there is frighteningly little meaningful information regarding how to develop your brand. Developing your brand requires a healthy dose of self-awareness. You must be able to articulate your abilities and talents. What can you do? What do you know? To help you build cogent answers to those questions, consider investing in a self-assessment tool such as the Highlands Ability Battery, MBTI, DiSC or StrengthsFinder. These instruments are designed to help you objectively identify your strengths. The next step is to focus on your values. What do you care about? What is important to you? The answers to those questions are central to who you are and how you show up in life. Your values shape the principles and standards by which you make decisions – both large and small – that impact your personal brand. Sadly, most of us don't live them consciously. David Brooks wrote a wonderful piece in the NY Times entitled The Moral Bucket List. He talked about the difference between Resume Virtues, those important skills you bring to the world of work, and Eulogy Virtues, the ones that are talked about at your funeral, extolling how you lived your life. Most career paths have well-defined expectations and milestones to delineate achievement; we know what we must accomplish in order to be labeled successful. Yet those external drivers sometimes allow us to lose focus of the eulogy virtues we aspire to and tarnish our personal brand. It is hard not to succumb to the pressures of external expectations and focus on the "what" of success rather than the "how." As we stare down the various career/life choices we encounter along the path, how we do whatever we choose to do establishes our personal brand. The good news is, you can control how to develop your brand. The bad news is, you have to control how to develop your brand. At each stage of your career, consider what you want people to think about you. Then, make sure every behavior supports that narrative so that you may leave your fingerprint on every interaction. Consider everything from dress and grooming to your communication style to the quality of your work product as part of your brand. Focus on being your authentic self, but remember, optics are important too. You must showcase your brand to others in a meaningful way. You cannot simply claim a brand if you are not willing to back it up with action. To help you become more mindful about how to develop your personal brand, write down three adjectives you would use to describe yourself when you are at your best. Next, write down three adjectives that you would use to describe yourself when you are at your worst. Finally, ask several friends and colleagues do the same. It is helpful to know how others perceive you because the reality is, that IS your personal brand. The bigger question is, is it your intended personal brand? At the end of the day, developing your personal brand requires reflection and thought about the type of person you aspire to be. The answer to the question "how do I ….?" rather than "what do I ….?" provides needed insight into your personal brand. Armed with this self-knowledge, go ahead and Google "how to build your personal brand" and read a few of those 39,200,000 articles.